Nitrogen Poker is an independent BTC poker room that welcomes USA players. 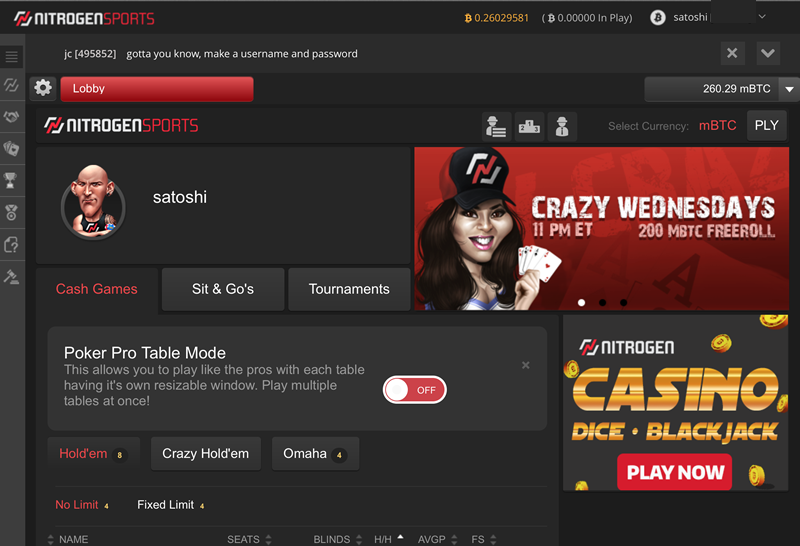 Nitrogen offers Texas Hold'em/Omaha cash games, Sit & Go's and tournaments. There are zero banking fees. Deposits process instantly and withdrawals within hours. 100% guaranteed anonymity. Sign-up instantly with only a username and password. Rake ranges between 1% and 4% but they do have a generous rakeback program. 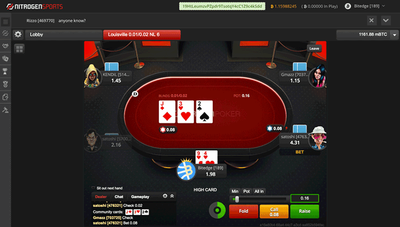 Multi-tabling is available from desktop, tablet and smartphone to suit all grinders. Nitrogen Poker works brilliantly on any iPhone, Windows Phone or Android device. Nitrogen does NOT offer a BTC deposit bonus but they do have a loyalty program. Founded in 2012, Nitrogen Sports Poker boasts four years of experience in a market that is still regarded as new by many, garnering a reputation as one of the best and most trusted bitcoin poker providers around. Nitrogen Sports is owned by Ideal Media and operates out of ​San Jose, Costa Rica. There are cash games, sit & go’s and multi-table tournaments available at Nitrogen Sports Poker, with buy-ins starting from just 1 mBTC, meaning you can get your feet wet in the world of online poker without blowing your bankroll. 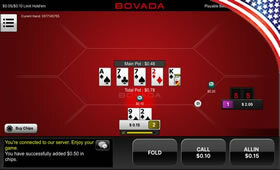 You can also enjoy a number of poker variants, including Omaha, a four card variant of Texas Hold‘Em, and Crazy Hold‘Em (more commonly known as Crazy Pineapple), a strategic take on the same game where players are dealt three hole cards, one of which they must discard after the round of betting following the flop. There are hourly tournaments running every day, and this even includes freerolls where you can literally win bitcoin for nothing. 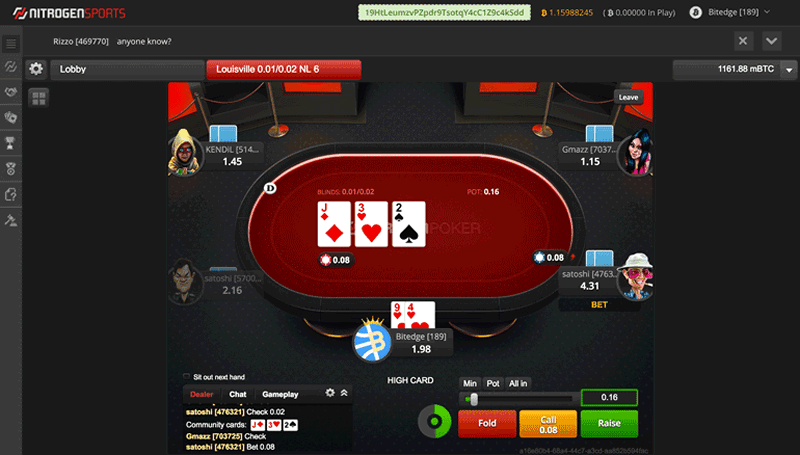 Even though traffic at Nitrogen Sports Poker is lower than most regular online cardrooms, it is one of the busiest bitcoin-only poker rooms around and there are always enough players for you to find a game that is running. 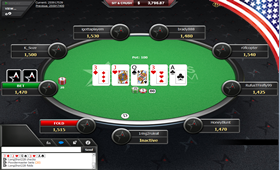 The Nitrogen poker client is well designed and offers smooth gameplay. The graphics and button layouts are clear, with an optional four-colour deck to make sure you don’t misread the suits. 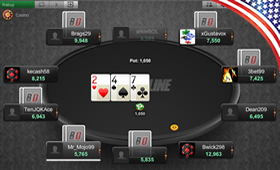 Table themes are realistic and in-game chat functionality brings the social aspect of poker to you. 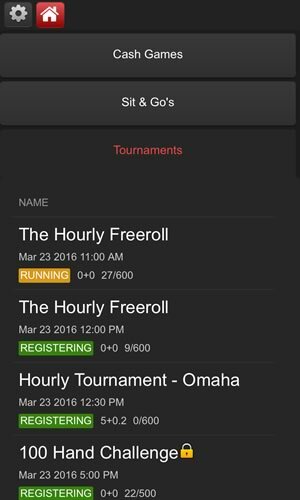 Multi-tabling is available on all platforms, which should keep the grinders happy. The poker software also supports hand histories, customisable avatars and the ability to earn rewards that grant you entry to freeroll tournaments. The Nitrogen Sports sportsbook is also hugely popular and there is even a casino where you can play both dice and blackjack. 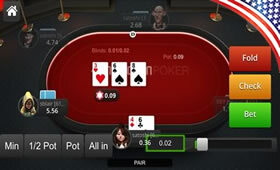 Mobile and tablet users can play Nitrogen Poker from any iOS, Android or Windows Phone device. No download or installation is necessary – simply create an account and start playing poker instantly on your mobile. 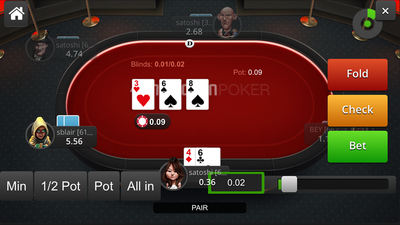 All gameplay features are available to mobile users (even multi-table functionality), and table display is optimised for devices of different screen-sizes. Registration really is totally anonymous at Nitrogen because you are not even required to provide an email address. Just enter a username and password and you'll be playing real money bitcoin poker in seconds. Funds are added instantly to your player account after zero confirmations and payouts are processed within 24 hours. The minimum amount you can deposit is 1 mBTC and there is no maximum limit. There are no fees for making a deposit or withdrawal at Nitrogen Poker. Nitrogen Sports Poker is generous to its players, employing a loyalty scheme called Nitrogen Rewards whereby players earn points by playing poker, which can be used to redeem free bitcoin and bets at the Nitrogen Store. There are also achievements which when completed can be redeemed for free tournament tickets. Rake is lower than that at regular online cardrooms, ranging from 1% to 4% in cash games and only 4% for tournaments. If you run into any problems you can contact Nitrogen by email or via their ticketing system. They don't have a live chat options, which is a little surprising for an online gambling operation of this stature. Google Authenticator two-factor authentication can also be switched on for added security. 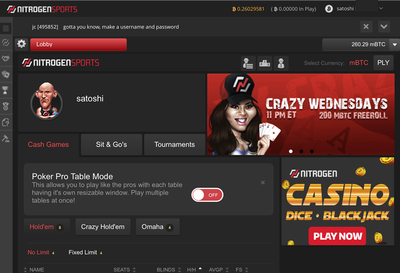 Nitrogen Sports Poker doesn't have as much traffic as some of its other bitcoin poker competitors like Betcoin and Americas Cardroom. However, the software is a joy to use and also works great on any iPhone or Android. With a huge variety of tables, as well as sports betting and casino options available, there is something for everybody at Nitrogen Sports. The popularity of their BTC bookmaker ensures that Nitrogen Poker will always have a steady flow of players.